Posts about, a private view. 2018. 'thank you for our beautiful hours, [for T], 2018. In situ in the bedroom. Stayed in bed for an extra hour this morning. Reading. Drinking coffee. Watching the gorgeous morning light fall on this painting. This is my very first actual painting and I”m very proud of it. 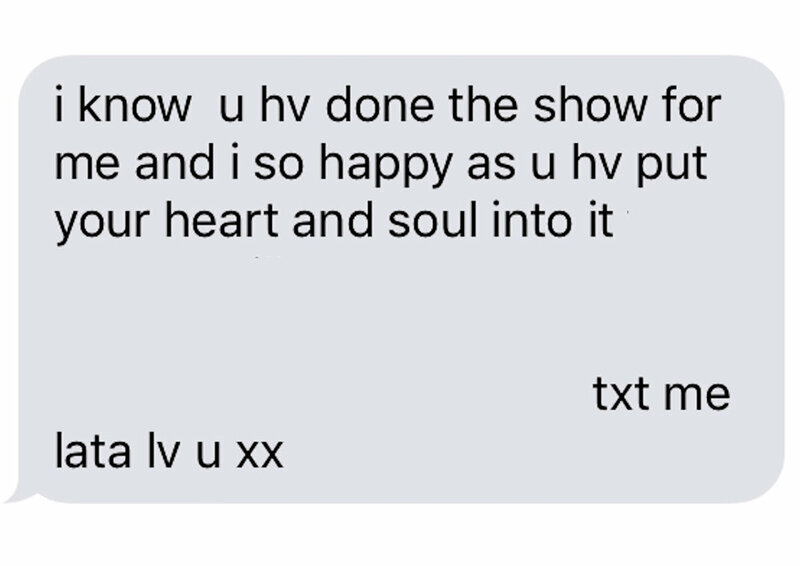 Going through my work, deciding on what artwork to use for the show, and came across this text my Mum wrote. I made a show for her/about my love for her called it's a kind of love song, in 2016. She was terminal, and she knew it, and I needed her to know what she meant to me. This text meant the world to me when I received it. Still means so much to me now. And she was right, I do put my heart and soul into my work. About to do the same thing with a this new a private view show. There is such strength to be found in laying yourself bare and open for all the world to see. I love you Mum. This show's for you, too.